The British Army emerged from the crisis of revolution and civil war that had given it birth with a distinctive military doctrine based on movement, firepower, and aggression. But realising its potential required a master of war in the Army’s own image. 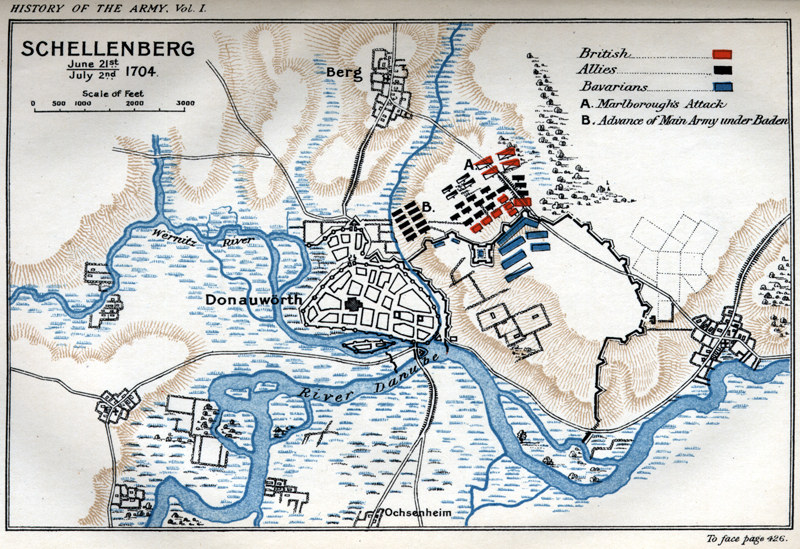 Above: The Battle of Blenheim, 13 August 1704, showing the dispositions of the opposing forces after the Allied deployment was completed shortly after midday and immediately prior to the commencement of the attack. 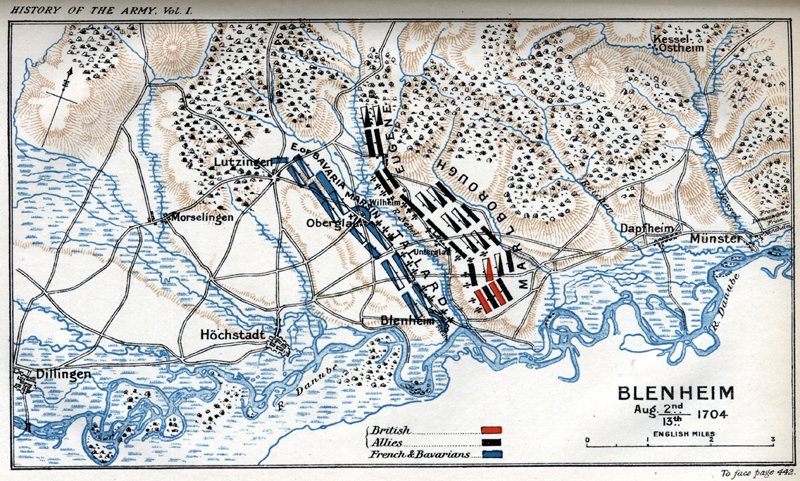 In both maps the British forces are shown in red, Allies in black, and the Bavarian (and French) forces in blue. Taken from our new series A History of the British Army in 25 Battles. To read the full article, see Issue 12 of Military Times.